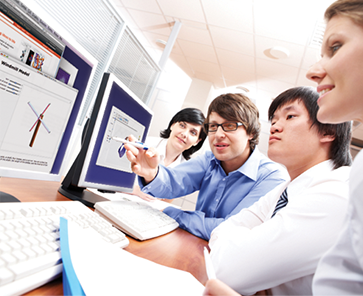 Wolfram technologies have been a mainstay of the world's major educational institutions for three decades. 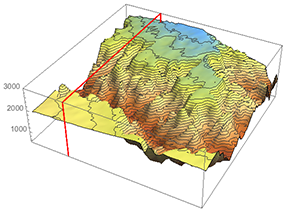 Initially most popular in areas such as mathematics and physics, the use of Wolfram technologies has gradually spread to many other fields. Now—especially with Wolfram|Alpha and the Wolfram Language—Wolfram has dramatically expanded its offerings for higher education, bringing the power of deep but easy-to-use computation to areas that have never been able to benefit from computation before—and opening up major opportunities to create innovative curricula that use Wolfram tools to integrate learning across departments. The Wolfram Technology System comprehensively delivers both classic and new Wolfram technologies to students and faculty across campus. The definitive tool for technical education, dramatically expanded with access to the cloud. Zero-configuration Mathematica running through a web browser in the cloud. The ideal instant computation tool for students in all fields. Introduce computation and programming using the unique power of the Wolfram Language. 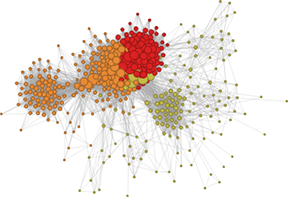 Let your students easily do state-of-the-art experiments with text, images, social networks and more—and learn modern data analysis and visualization techniques. Treat your students to state-of-the-art statistical tools, including visualization and machine learning; explore thousands of domains of built-in data; and use Wolfram tools to manipulate formulas as well as numbers. The Wolfram Technology System can be used by students at any course level regardless of differences in textbooks, knowledge levels or teaching styles. Used heavily in industry, government and research universities, Wolfram technologies provide students with important knowledge and skills they'll use later in their careers. Students are often familiar with Wolfram technologies by the time they enter college, having used them in high school. For those few who need a refresher, free tutorials and peer-created examples help get them up to speed quickly outside of class time. The Wolfram Technology System is a unified environment for your lecture notes, videos, calculations, class examples and student projects. Now there's no need to jump between several disparate programs to get your work done. Save IT time and overhead by eliminating software that only runs on one type of system. The Wolfram Technology System gives users the option to work locally on any major desktop operating system, develop and deploy content in the cloud, and embed content into webpages, as well as access via mobile devices. Rather than purchasing specialized software for each textbook or type of course, Wolfram technologies can be used in a variety of departments on campus, allowing you to replace niche educational technology and save money. Wolfram technologies are the standard in higher education, a wide range of areas in industry and government labs. This means that when you adopt the Wolfram Technology System, you're providing your campus community with access to the same technology used by innovators worldwide. The Wolfram Technology System provides a cross-discipline solution, so faculty and staff across departments can collaborate and develop course materials as a team. The same technologies can be used for collaboration across different research projects for undergraduates (REU), departments, colleges and systems. Linked to many major teaching awards, Wolfram technologies provide a platform for innovative faculty to inject computation into their classroom-based, online and hybrid courses.